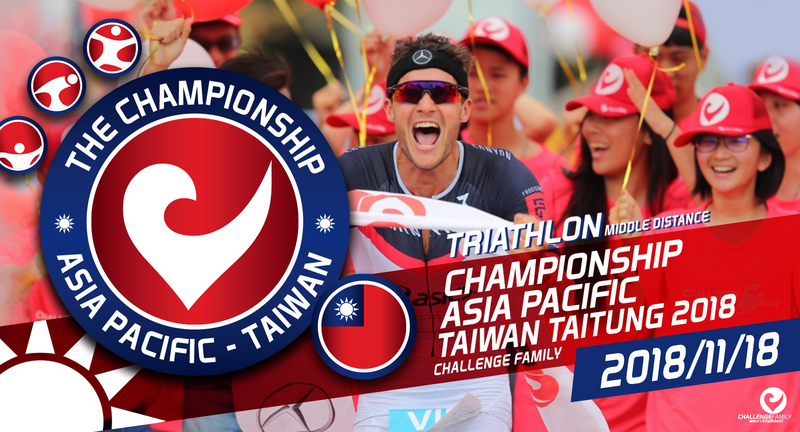 The second Challenge Family Asia Pacific The Championship will be host in Taiwan Taitung on November 18th. This triathlon is the first Asian triathlon Championship hosting in Taiwan. There will be over 3000 triathlete participate in Challenge Family Asia Pacific The Championship. This competition includes 113K(1.9K swimming,90K bicycling and 21.1K running). The total bonuses reaching EUR $100,000(NTD$3,600,000).The professional athlete will chasing for the high bonuses and the champion title of the Asia Pacific champion. Taitung, which is the most beautiful backyard of Taiwan, the clear flowing Lake, the magnificent East Rift Valley coastline, traditional culture of Taiwanese aborigines and the cheering from Taitung people are all included in Taitung. Every corner of Taitung is full of stories and surprises, let us enjoy the beauty of Taitung.. Help you forget your busy life and find pure happiness. The swimming course will start by the Flowing Lake, this is an open water place which suitable to swim. The audience can also watch the game comfortable beside the swimming course. In the bike course, athlete will through the lofty Carp Mountain and the spectacular Pacific coastline, the last running course, combined with the lively Taitung city center, quiet and pleasant fields, and then the finish line is in the Tie Hua village. Let us celebrate together for a wonderful match day. The Challenge Taiwan team who brought Challenge event into Taiwan, will continue to fully input our enthusiasm into triathlon, and transfer your support for Challenge Taiwan into a continuous improvement, looking forward to keep bringing a higher quality event, and the best event experience. Also will continue to upgrade the track and enhance the carnival memories of finish line. Combine with triathlon sweat efforts, friends and family enthusiastic support, and amazing scenery and human touch in Taitung. Taitung will again welcome thousands of visitors from around the world, no matter the age or experience.